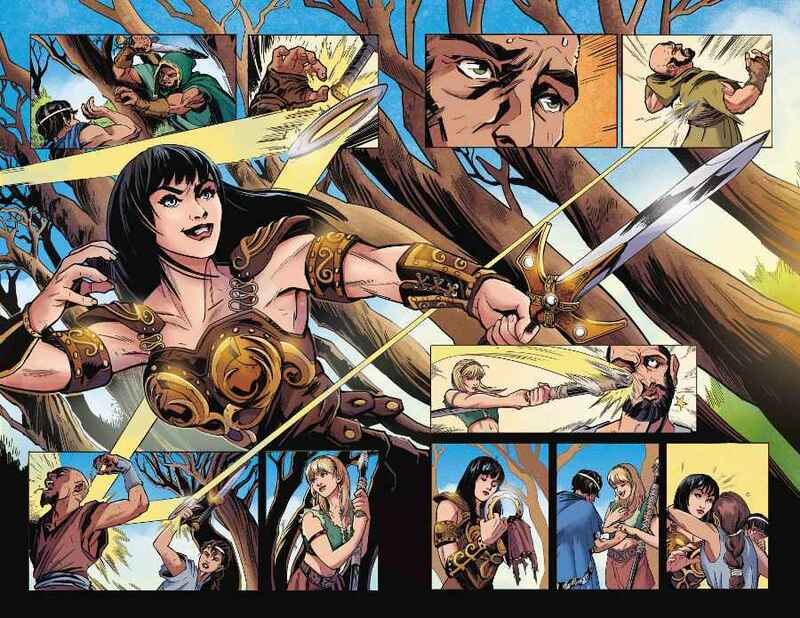 Xena is back in action in a brand new series. Dynamite today announced a new Xena: Warrior Princess ongoing series will debut in April. The series is written by Vita Ayala (Black Panther, Shuri, Wonder Woman, The Wilds), with art by newcomer Olympia Sweetman, colors by Rebecca Nalty (WWE, Sparrowhawk) and letters by Ariana Maher (James Bond 007, Nancy Drew). Xena: Warrior Princess #1 features covers from David Mack (Daredevil, Jessica Jones), Emanuela Lupacchino (Wonder Woman, Supergirl), Erica Henderson (Squirrel Girl), Paulina Ganucheau (Black Panther), and Raúl Allén and Patricia Martin (Wonder Woman, Livewire). Xena: Warrior Princess was a television series spinoff of Hercules: The Legendary Journeys. The series was created by John Schulian and Robert Tapert. The show starred Lucy Lawless as Xena and Renee O’Connor as Gabrielle. The show ran for six seasons from 1995 through 2001 for a total of 134 episodes of fantasy adventure. There were plans for a revival in 2017, but those plans were canceled before production began. Are you excited about the new Xena: Warrior Princess series? Let us know in the comments! Xena: Warrior Princess #1 goes on sale in April.